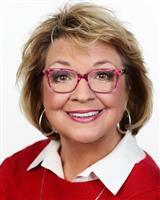 Susan Langlois | RE/MAX First Recommended Service Providers. SOME GREAT LOCAL PEOPLE AND COMPANIES WHO HELP MY CLIENTS, AND ME, SUCCESSFULLY CLOSE REAL ESTATE TRANSACTIONS. All Loan Types including FHA with Renovation / Remodel "built in"
SUSAN'S TIP: Ask what loan type is best for you and what are the qualifications and down payment, not just the rate of interest. You also need to know approximate closing costs and pre-paid costs. Don't be shy - if you do not understand some of the terminology ... ask for an explanation you do understand! Knowledge is Power and it will relieve undue stress. And, I'm always available should you wish to ask me any question about financing! Buying a New Home / Getting a New Loan? DO NOT get an appraisal - lender will. Thinking of Selling Your Home? You may wish to have an appraiser measure the house for accurate living and total areas, but an appraisal is not necessary. the market in my sellers areas. SUSAN'S TIP: As part of a purchase agreement, a Buyer has the right to have any and all parts of a home inspected. Inspectors generally cover everything mechanical in a home, roof condition, and the like, but be sure to ASK QUESTIONS about what all each company includes, as they can vary. Since January 2008, either the buyer or seller can have a termite inspection performed, so ask if that is included. Inspectors don't usually inspect "Independent Sewer Systems" and a Buyer may ask the Seller to perform these inspections or hire a contractor of their choice. SUSAN'S TIP: Confer with your lending institution before engaging a title company, to ensure they work with them . The title companies above are approved by most all major mortgage companies in the area.